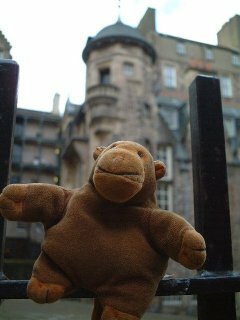 "They won't let us in"
In a close off the Royal Mile, Mr Monkey found the Writer's Museum. It was shut, so he just stared hard at the front door. The John Knox House was shut, too. That's what happens on a Sunday, it seems.